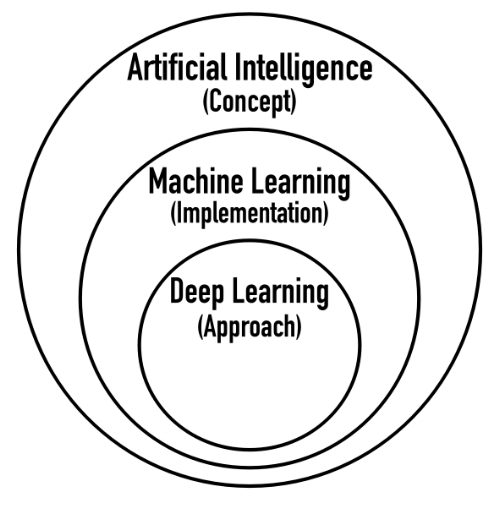 Artificial Intelligence (AI) is the ability of a system, such as a computer, hardware, software or other devices, to acquire and apply knowledge and skills. Intelligence is the ability to acquire and apply knowledge and skills. With the introduction of computers, no longer intelligence is only reserved for organisms like humans. Today, intelligence in the form of artificial intelligence (AI) is inside the software you use. Facebook, Google, YouTube, LinkedIn, Amazon, Alibaba. All these big firms already make use of AI, even without you knowing it. Most organizations, especially small to medium organizations have not started to explore this new concept, but soon they will. Dragon1 defines it as follows: Artificial Intelligence (AI) is the ability of a system, such as a computer, hardware, software or other devices, to acquire and apply knowledge and skills. Learn to discover and recognize new data patterns, for instance, for finding diseases or detecting fraud. Learn to listen and talk with humans, for instance, for helping people with traumas or connecting with autistic children. Learn to solve new and more complex problems, for instance, to win every chess game. Learn to follow and predict behavior of humans, for instance, as Userbot of Chatbot to help people efficiently use software. Once a computer or a piece of software is able to acquire and apply knowledge and skills the applications of it are numerous, or even countless. AI is a concept and has a first principle and many other principles. The first principle of AI (the principle describing the whole of the concept) is: By being able to build computers and software that can handle enormous amounts of data, can do computation at an incredible speed and deal with utmost complexity, it is ensured we can have computers and software to simulate human behavior and human thinking such as to acquire and apply knowledge and skills and with that to solve problems humans cannot solve at all or that well. Dragon1 as SaaS platform for Visual Enterprise Architecture is fit for designing and realizing solutions that are AI, contain AI or are AI aware. For more information on using Dragon1 for AI, please contact us via info@dragon1.com.